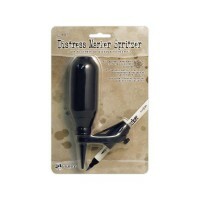 Tim Holtz Distress Markers are water-based inks for coloring, journaling, stamping and more. 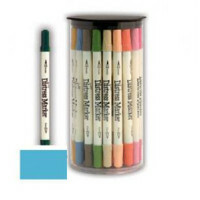 The dual tip markers are ideal for many coloring techniques. 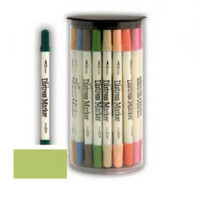 Distress Markers are available to match the Distress palette of 36 color and White Picket Fence. 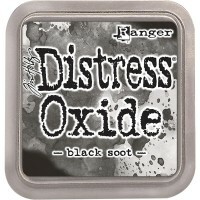 This Black Soot﻿﻿﻿﻿﻿﻿﻿﻿﻿﻿﻿﻿ distress marker is acid free and non-toxic. Colour: Stormy Sky Water-based ink, acid-free and nontoxic. Perfect for all effects. 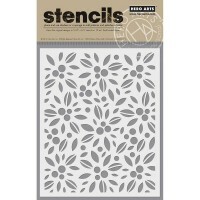 You can use the..
Colour: Wild Honey Water-based ink, acid-free and nontoxic. Perfect for all effects. 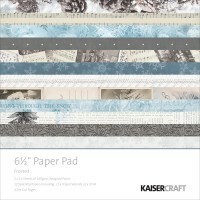 You can use the..
Kaisercraft Frosted Cardstock Pad 6.5" x 6.5"
This paper pad contains 40 sheets of 160gsm paper: two each of 18 designs and 4 sheets of die-cuts. ..